Gearing up for summer is different for everyone, but no matter if you are dreaming of relaxing days on the beach or of an exciting hiking adventure in the nearby mountains, your summer ramp-up should always begin with taking care of your car first. These summer preparation and car care tips will get you on your way safely. Check the tires before you hit the streets of Burke, VA. Check the pressure in each of the tires to ensure proper inflation. The owner's manual or a sticker on the inside of the driver's door will let you know what the proper tire inflation level is. 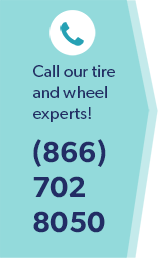 Running on under-inflated tires runs the risk of a blowout, while over-inflated tires will reduce your fuel efficiency. Check the oil after the engine of your car, truck or SUV has been running for a bit to ensure the proper amount of oil is available for safe operation. Again, reference your owner's manual to determine how frequently you should change your oil. For many cars this is typically every 3,000 miles but some manufacturers recommend you only change your oil every 7,500 miles. No matter what mileage your manufacturer recommends, you should follow the guidelines to ensure your car engine runs smoothly. Invest in good summer windshield wipers. You never know when the next rain or thunderstorm will strike and staying safe in Burke, VA depends on your ability to see clearly while driving. Clear the winter gear out of your trunk. An empty trunk increases both fuel efficiency and storage space for those summertime road trips. Experts estimate an extra 100 pounds in the trunk of your vehicle will reduce your fuel efficiency by as much as two percent. While that may not seem like much, every bit can help increase your average gas use. When it's time to prepare for your summer fun, it's time to stop in and see the technicians at Wiygul Automotive Clinic for the best car care available.